I still have not got all together. hope in September I will have more time to dig in. Very nice colour. Your project is amazing. I'll wait to see the job on the car. I have no skills in electronics and softwares. Your dashboard is too complicated for me. I can't use the Secu-3 at the least. I found some ignition curves,they aren't from Volvo manuals. Thoose infos aren't enough to draw an ignition curve. There are values for E85 and LPG. The same curve for two different fuels. I rember about T.A.P. (timing advance processor) that could be added on old LPG/CNG system. They add more advance on the factory ignition curve. There are switches that can add 3°,6° and so on. The first generation of TAP was made so. Then they a curve to modify the factory one,the same correction for all cars and engines. I couldn't find any exemple of thoose correction curves. Then they made programmable ecu or TAP. I can't give an help unfortunately. What about the trigger source for Secu-3? Will you use a trigger wheel on the crankshaft pulley? What about the TPS? Is it an automotive one? Is it a contactless one by Hall sensor technology? Why did you choice the TPS? Because an aftermarket camshaft, because constant vacuum carb or other reasons? Still missing stepper motor for automatic chocke. Can not finde one. Have to finde a way to get from Russia. But first thing Ill try to start the engine after rebuild and see that all is working with stock system and then install secu. Well Im gona fix crancshaft position reading cose after putting in radiator there is not much space to work. And digital dash nowdays is "kindershpiele"
I haven't got a car at the moment. I had some cars but without license plates, owing to pollution laws and so on they were like special waste. It isn't easy to own cars ad collector, it takes a garage at the least. I haven't got one. I can't use arduino,it isn't easy for me. I know, for a student at the secondary school or less is a joke. Probably that stepper motor was used on Lada only. I didn't know it, I leraned about it here. I couldn't find a TPS like yours but it made me remeber about other sensors with four or more pins. finally I got engine running with stock system after total rebuild. And now Iam ready for secu installation. and If I have 60-2 trigger wheel and 6 cylinders haw many teeth You recommend to leave ? 12? 2. REF_Sx are inputs, not outpus and can not be used for SM_DIR and SM_STEP. Use remaining free outputs, e.g. ADD_IOx or BL, DE on the board. 4. yes. recommended 9 teeth. 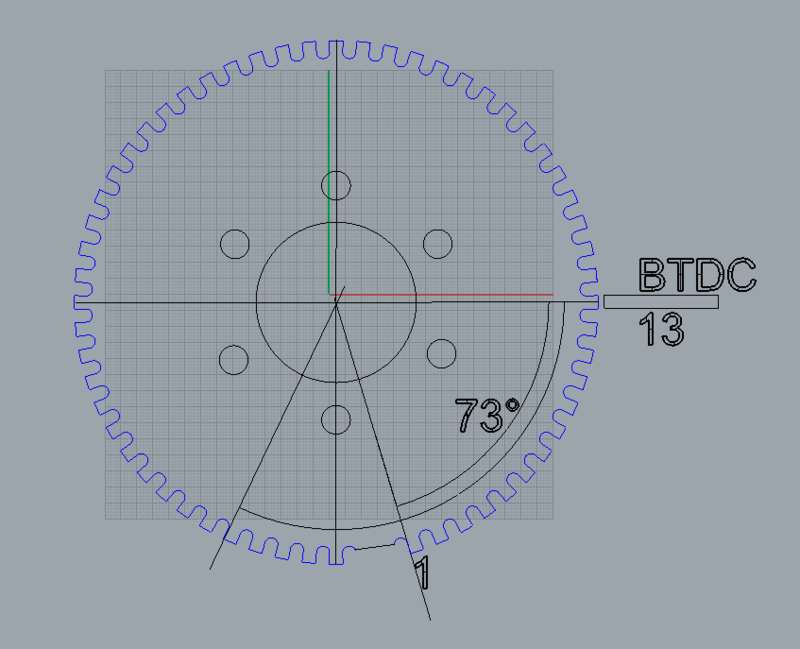 to get 70deg 13 teeth should be ok?